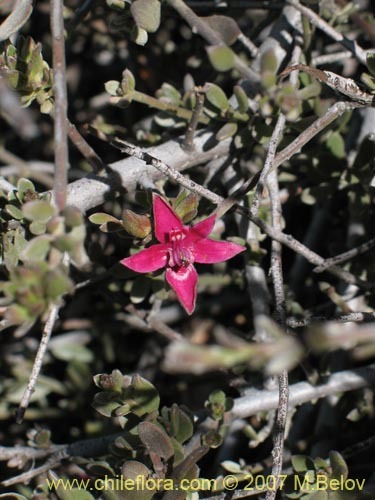 Species: Krameria cistoidea Hook. & Arn. 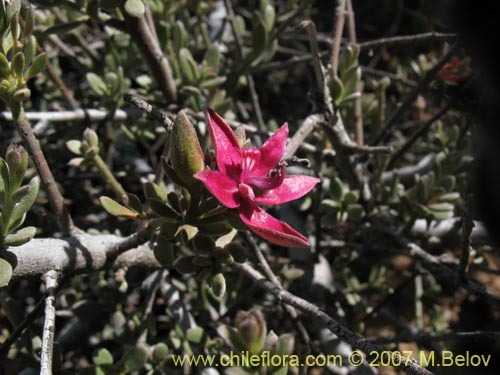 About 2 Krameria in Chile and 2 in our data base. 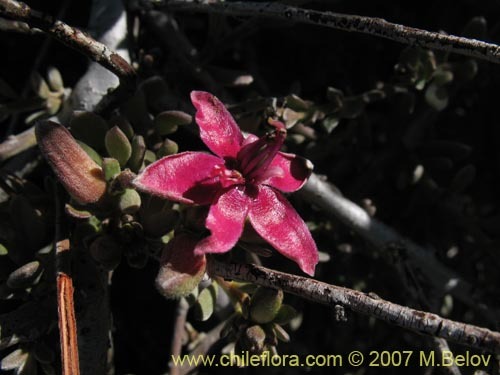 About 2 Krameriaceae in Chile and 2 in our data base. This is interesting shrubs with red assymetrical flowers and edible nuts. 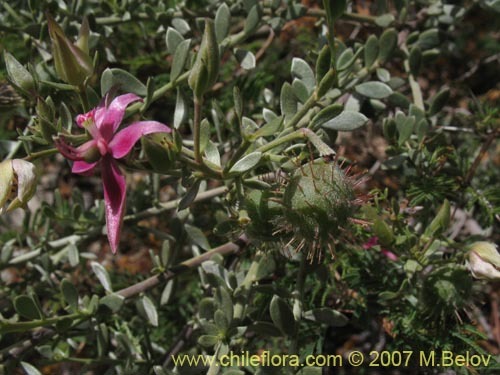 It grows in northern areas of Chile and is very resistant to dry spells and and can tolerate moderate freezing but no snow. The germination is straightforward - just soak the seeds for one - two days in water and than plant and maintain wet. It needs sandy soil with good drainange, use about 2/3 of sand and 1/3 of compost. 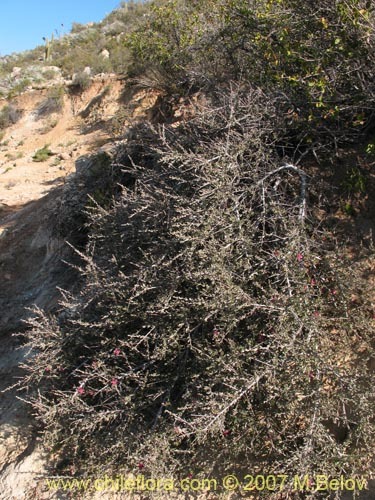 Once the plant is established, water very little and expose to sun light. Awoid exposing to severe cold.